What is Callback Functions ? Why do we need Callbacks ? Lets check the another example in which he function first is executed first, and the function second is executed second .But it will log the console message of second function first, then log the console message for first function in second place. You are seeing delay in response in console because we have delayed first function for 1000 milliseconds using setTimeout function. Callbacks are a way to make sure certain code doesn’t execute until other code has already finished execution. To overcome this problem, we can use the callback function. This will handle synchronously or asynchronously flow with very easy steps. Lets see the below solution. In this example we have defined callback function, while calling functionTwo function. 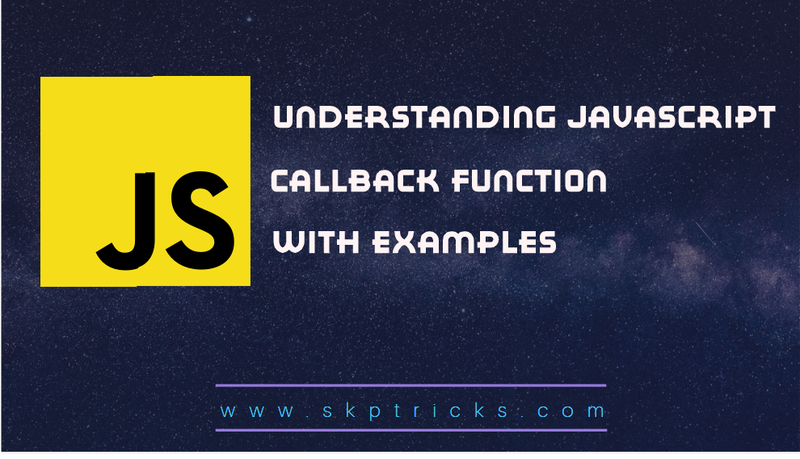 In this example we are calling callback function multiple times. This ia cool, but could u tellme when will I use this in a real world problem? you can use call back function, when you find below scenario's in your application. Can u tellme pls when will I use this callback function.